When it comes to safety checks in the UK nuclear sector, following paperwork to the letter is of paramount importance. That’s the advice from Dr Glen Little, Director of Nuclear Business Development at Doosan Babcock. He was speaking at UKTI’s Civil Nuclear Export Showcase in London about how essential safety standards are, no matter what size of a company in the UK supply chain. 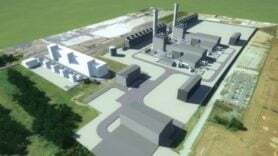 Earlier the expert said the Government and large British manufacturers began educating smaller manufacturing firms in the UK on how to prepare for building new power stations. He said originally some smaller businesses mistakenly thought they would get contracts for work on projects like Hinkley Point C from EDF rather than larger contractors.